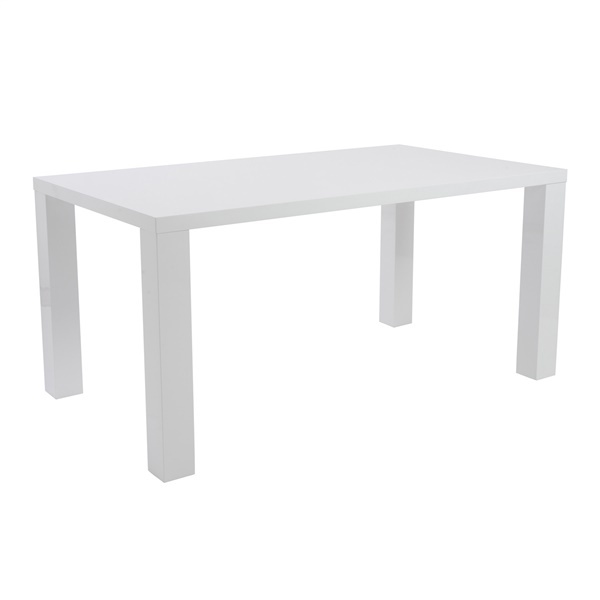 Beautifully simple, the Abby Dining Table has an understated design that makes it perfect for any modern or minimalist space. This contemporary dining table�s uncomplicated design enables it to work with nearly any style dining chair, enabling you to create a space that is distinctly modern or more traditional. The Abby Dining Table is constructed of lightweight wooden honeycomb. It is available in your choice of white or gray high gloss lacquer. A matching coffee table and side table are also available. does this table come i bigger size ..like 78"? if not do you have faux marble or granite tables in big size?